And that’s a really good question. Because I don’t believe there is a ‘one-size-fits-all’. There are certainly some mobile payment gateways that work well for most uses, however app development is really finicky. Especially when you’re talking custom development. What is a mobile payment gateway? A mobile payment gateway is a safe and secure way for a mobile user to wire money to your account in exchange of your service/product. In essence, it’s an EFTPOS machine in your mobile/web application to help your users buy your product. For all of you oddly shaped units who don’t fit into the square box, this post is for you. Hope this helps you find a mobile payment gateway that fits your requirements. Stripe has recently landed in Australia, setting up shop near us in Richmond. 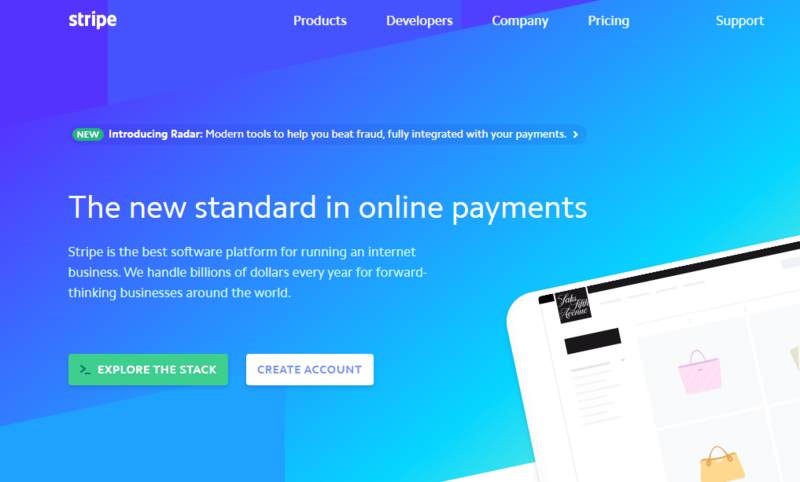 Stripe was designed with a ‘developer first mindset’ giving developers the power to play around with the company’s APIs to create the product that best suits their needs. It’s known as one of the cleanest API’s in the game, forcing players such as PayPal to up their game. Support: Stripe has open channels for email support, and they also have an IRC channel (#stripe on Freenode) where developers can chat and get live help from real engineers. Data Portability: Unlike PayPal, Stripe allows you to migrate your credit card data to your new payment gateway of choice. Technology: Stripe accepts credit card, debit card, Apply Pay and bitcoin payments from more than 130 different currencies. Harry’s, Fitbit, Task Rabbit, Lyft. It’s supported by Bigcommerce, Shopify, WooCommerce, Magento, and Spree Commerce. Processing some 8 million payments every day, PayPal is arguably the most popular payment gateway in the world. PayPal provides a wide range of options for both personal and enterprise users to facilitate smooth transfer of funds and acquire revenue for sales. It was acquired in 2002 by the popular online auctions and selling company eBay. PayPal is known to be one of the fastest and most secure payment gateways to do business with. Support – Services available in over 190 countries, and support for 26 currencies and 5 different card types. Versatility – Ability to execute mobile payments, recurring billing and large transaction limit of $10,000 depending on account type. Customised nature – Various account types come with a wide array of features for different requirements, including accepting cheques through a smartphone’s camera. eBay, Woolworths, Google Play, Telstra. Specialists in mobile payments, Braintree is a popular full-stack payment gateway solution adopted by a number of reputed mobile companies around the world. Providing simple packages and a comprehensive solution for mobile payments, Braintree is a feature-rich service with great back-end support, available in 40+ countries. Acquired by PayPal, Braintree is seen as one of the most progressive. Ease of fusing with existing setup – Braintree provides an easy-to-use SDK (software development kit) which are a breeze to implement and start working with. Essentially speaking, the easier the SDK is to work with, the less your developer will charge to implement it for you. They provide support for Google Android, Apple iOS and Windows Phone which means that as your business grows. Recurring Billing – Braintree provides specific tools to facilitate recurring or subscription-based billing, including the option to get push notifications and creating discounts and promos. Security – With every account, Braintree provides high-quality fraud protection services, without levying any additional charge. Braintree charges a 2.9%+ $0.30 transaction fee (after first $50,000), and a $15 chargeback fee. You can see all pricing details on their website. Bonobos, Airbnb, Uber, and Casper. Supported Platforms include Bigcommerce, Magento, Spree Commerce, WooCommerce, Shopify and ect. Large Scale Payments: Dwolla offers a full suite of payment options including the ability to pay thousands of people at once (for instance, for a company’s payroll) or invoice up to 2,000 people at once. It offers buttons and recurring payments, shopping cart plugins and custom forms. Support: Partners receive dedicated integration and post-integration support. Dwolla charges $0.25 per transaction for purchases of $10 or more but does not have a fee for transactions under $10. We didn’t recognise any of their clients. An exciting platform for mobile payments, Zooz has already made a name for itself with its clean interfaces, speedy transactions and a clean, simple integration process that does not take much time or effort. Time Saver – For both developers and customers, Zooz is a great time saver, as it takes very little time to integrate into a mobile app. For customers, the in-app payment process is simple, and card information is saved for returning customers. Customizable – Zooz payment screens are highly optimized, and can have personalized designs to enable companies to incorporate their own branding in checkout pages. Evolving – Zooz services constantly evolve based on data generated by customer insights, so there is more chance that most, if not all customers, will be able to complete their transactions successfully. Zooz offers tailor made pricing solutions for customers as per their specific needs, such as type of goods being sold, currency used, monthly volume and product price range. A reputed payment gateway which is perfectly scalable to fit any shape or size of business, EziDebit offers many different kinds of services targeted at different kinds of businesses. Payment management is easy and intuitive, and EziDebit offers solid blending with different kinds of software. 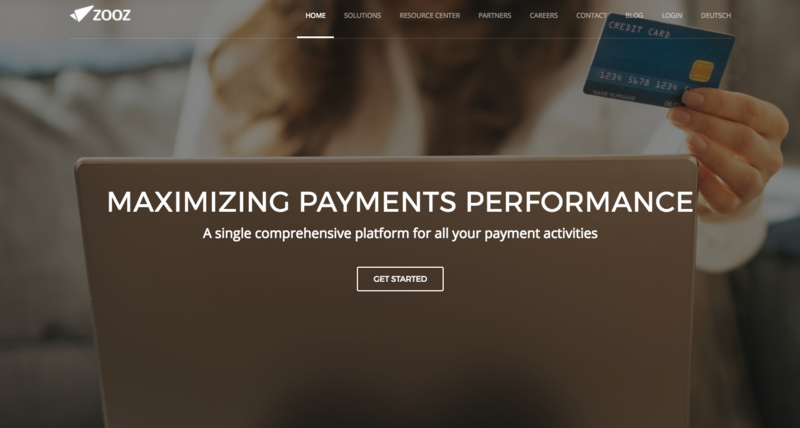 Scalable – EziDebit has a scalable structure of service, which makes it a great payment handler for both small businesses and large-scale portals. It offers payments with direct debit, and payments are processed in real time for maximum transparency. Ecommerce compatibility – EziDebit is aligned exclusively for ecommerce businesses, and can be used as a standalone tool or with conjunction with several popular business software packages. Secure Integration – API based secure meshing with existing shopping portal setups and a well-managed partnership program offer users a lot of flexibility while incorporating EziDebit in their business. Secure cloud-based payment solutions are also available. EziDebit decides appropriate pricing for every user according to the particular services provided, and does not have a fixed pricing structure. One of the most popular payment gateways in the world, Shopify provides a fully hosted ecommerce solution, complete with advanced functionalities, payment gateway and around the clock support. With support for custom designs and a CMS-like management interface, Shopify is a comprehensive solution for any scale of ecommerce requirements. Look and Feel – Shopify provides a large number of preset themes and styles to choose from, so that users can completely customize the look and feel of their store fronts. Features – A fully managed store front with order management, product and category management, customer profiles and a host of other added functions is the high point of Shopify. A secure shopping cart and payment system and shipping management makes it easy to facilitate purchases. Social Networks – Shopify makes it easy to use the power of social networking to boost sales, with options to seamlessly merge this with the world’s most popular social networks. There is also an option for enhancing SEO and targeted email marketing. Shopify does not charge setup fees, and plans range from $14.95 a month to $179.95 a month according to the feature set needed by customers. Their most popular plan is the Professional plan, priced at $89.95 a month. Added highlights like point-of-sale support are available for an additional cost. JudoPay offers simple and powerful mobile payment gateway services at great prices. The focus is on making mobile easy and speedy, with minimum hassle. The confluence of this gateway with the portal is rapid, easy and effective, and for businesses that are looking to really leverage sales with in-app purchases, JudoPay is one of the best solutions currently in the market. Seamless Integration – JudoPay offers APIs and targeted support to make it really easy to combine mobile payment channels with apps in a fast way. The user experience too can be tailored to make users feel at home with the payment process within the app environment. APIs are provided for iOS and Android platforms. Simplicity – Mobile payments can be made with one touch, and there is the option for storing card information for returning users securely. Support – JudoPay offers world-class support with every step of the integration and usage process, including web-based, email and phone support. JudoPay has a great and transparent pay-as-you-go service which bills users per transaction, charging 2.4% of the transaction amount plus processing fees. For businesses which process more than $20,000 a month, JudoPay offers custom pricing to make sure they offer the best value for money. Finding a solution that best suits YOUR needs can be difficult in the beginning. However, once your requirements are ‘specified’ you will have a clearer idea of what you need. I said it before and I’ll say it again – don’t fall into the trap of fitting your infinitely complex and unique business into someone else’s BOX. Prior to Buzinga, Richard headed up client services at RCS Worldwide, the engine powering iHeartMedia, deploying hardware and software solutions for APAC’s largest radio networks. With a Masters Degree in Information Systems, specialising in Human Computer Interaction, and an Honours Degree in Electronic Engineering, Richard has all the technical skills needed to consult on innovative, engaging software solutions. a.) Are there any payment gateways in Australia that support P2P transactions where there is no service/purchases involved and it is plain transferring of money between two individuals (for various individual purposes)? b.) Is it mandatory to have any sort of service provider set up within the app in order to transact funds between two transacting parties? "Buzinga have added enormous value, partnering with us through all the challenges of building a custom application." - Ben Scollary, IT Innovation, Bluescope. Worried about Mobile App Abandonment? Here are 4 Surefire Ways Tackle It! Are you considering ‘Mobile Accessibility’ in your App Product Planning?